I have finally done it. 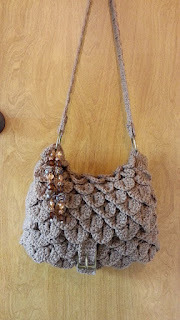 I have finally created the post that I have always wanted to make about crochet bags. 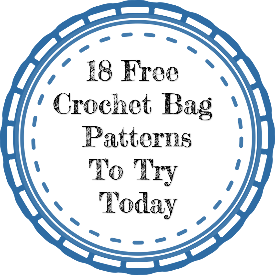 It took lots of research and lots of searching but I have a collection of 18 crochet bags that are ready for you to make today. 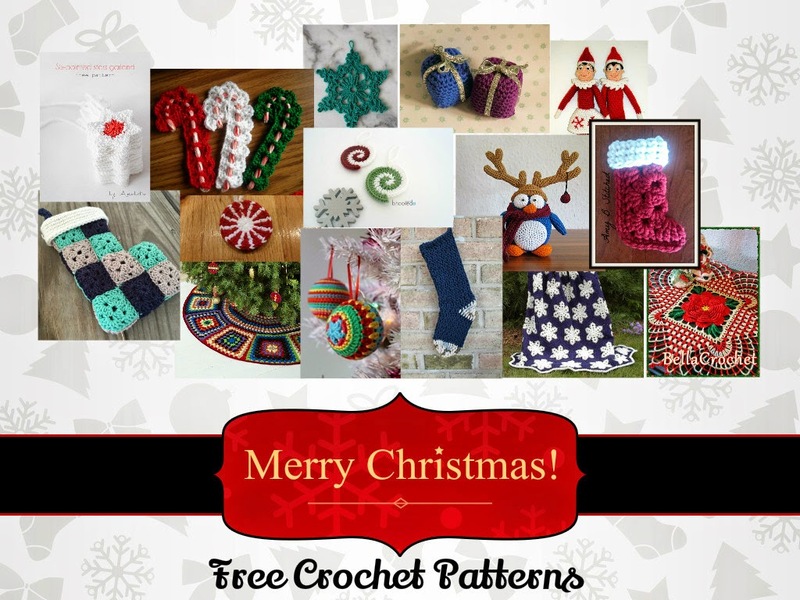 All of these patterns are completely and 100% free. None of the patterns require you to subscribe to a website or a newsletter to view them. They are either provided on the designer's own website or as a download from Ravelry. For limitations on selling items used from these patterns, please check the patterns themselves. 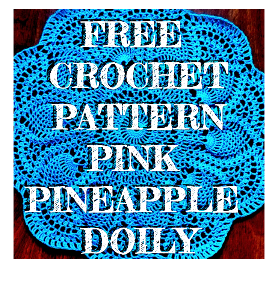 I try to only share items that can be sold at craft fairs and such but I might have missed someone's disclaimers in creating this massive list of free crochet patterns. Check out all of these great patterns and if you like what you see, make sure to tell the designer. We love hearing from the artists that use our patterns. The texture of this bag is simply awesome. The stitches look complicated even though they really aren't. There is also a video tutorial for this bag that outlines its creation for both left and right-handed crocheters. 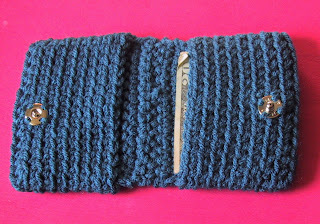 Crochet a simple wallet to zazz up your wardrobe. I love how you can really pick any color you want. I suggest working in cotton so that it is durable and will handle everyday use. I also suggest using something machine washable, money is so dirty. Need something cute but not "too fancy" to take for an evening out. This clutch fits that perfect. Change the yarn to something with glitter and maybe a different applique to customize this clutch for day and night. Bringing your own shopping bag to the grocery store is not only environmentally friendly, but also, a chance for you to make a fashion statement. This bag does that. 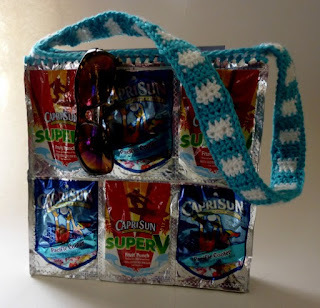 Do you have kids that drink a lot of Capri sun, then maybe they would like this bag to carry around all their stuff. 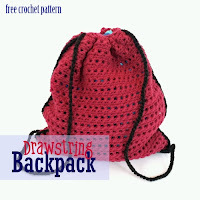 Use this pattern to form a versatile and easy bag, excellent for nearly any hobby, outing, and plenty of different functions. 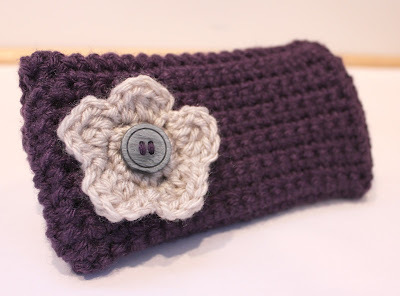 This project is nice for beginners to learn basic stitches in a fun new way to produce a remarkable crocheted material. 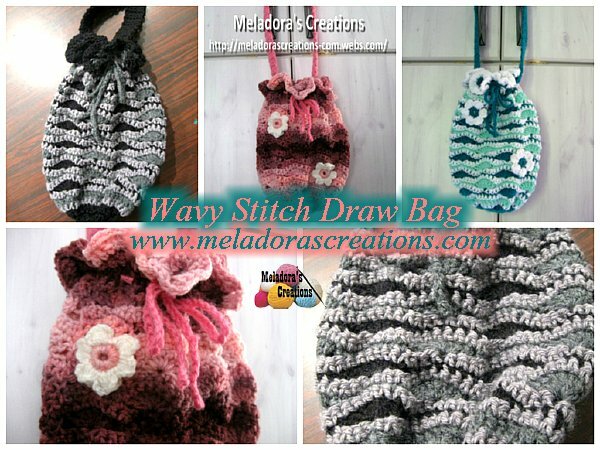 Crochet a drawstring bag for storage, shopping, sporting goods, hobby supplies so and so many other things. This makes a lovely bag for teenagers too! 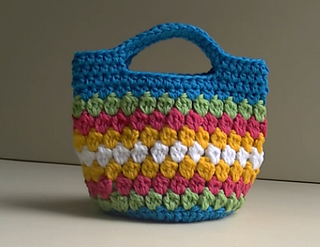 Learn how to make this darling bag step by step with a pattern and a YouTube Video. 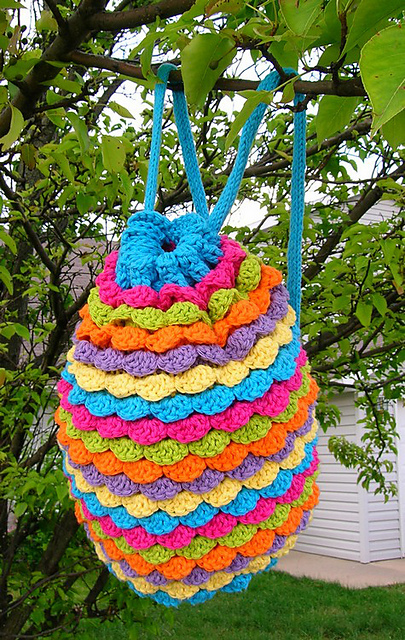 This bag looks so fun and the color scheme just screams summer. 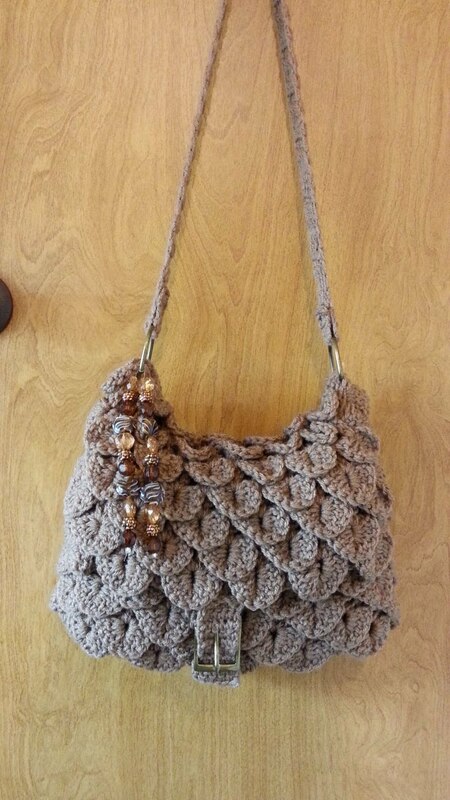 This crochet bag would make a perfect last minute gift or gift bag. 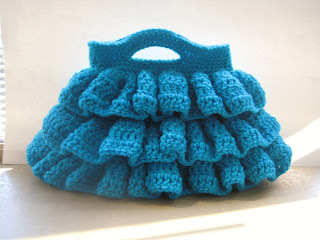 Are you looking for a crochet project that will use up all those plastic bags sitting around the house? This is the very project to get those old bags used up without filling a landfill. This bag is super cute. It is on my to-do list. When I have it finished I definitely plan on sharing it with everyone and reviewing the pattern. I think it's the perfect size to make sure you can carry all your necessities discreetly. From the picture, it does not look like it would require a lining but I am not completely sure. The crocodile stitch is super popular right now and this bag is ridiculously cute. This bag is covered in crocodile stitch crochet and looks absolutely stunning. The great thing is that the bag pattern is available as a tutorial on youtube. It would be a top 20 list without an entry from Moogly blog. 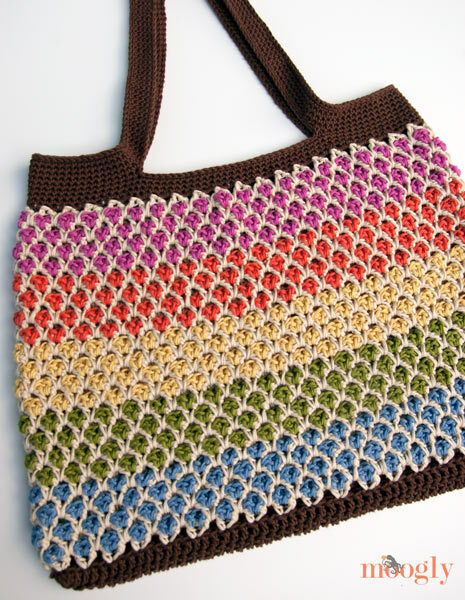 It is one of my favorite crochet blogs and I happened to stumble across this super cute tote bag. 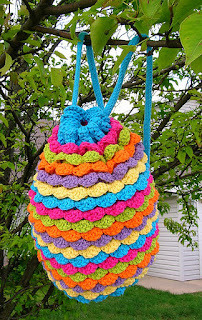 The crochet bag looks a little complicated and difficult to crochet but there are tons of pictures and diagrams included with the pattern to help you along in crocheting this super adorable Moroccan Market Tote Bag. This tote bag is uber cute and would make the perfect shopping bag. It starts at the bottom with a crochet flower, then it is worked upward with a nifty mesh. I totally see myself carrying this to the farmer's market or the flea market. I am in love with this idea. I hate carrying a purse and a wallet sometimes. There are just certain situations where all you want on you are your car keys. This little pouch makes it easy for you to carry your money and chapstick in a convenient place. Short hikes don't require a backpack but you may want to have some water on you for hydration. Use this sling to carry your water bottle and keep your hands free for stuff like climbing. Feel like a dragon protecting her precious egg with this super cute book bag. 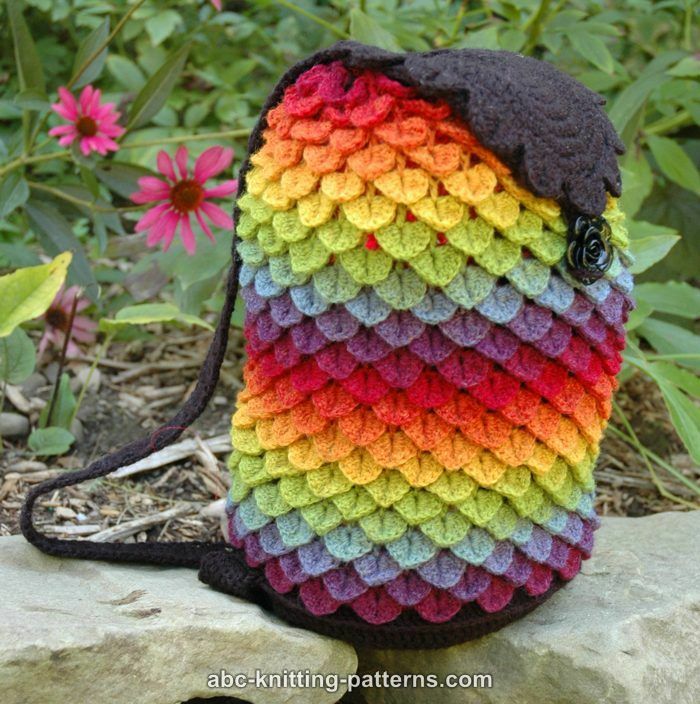 The crocodile stitch gives this crochet book bag the texture of scales. A perfect accessory for that Game of Thrones party or fan. African flower hexagons make this bag special. A perfect drawstring tote to carry all of your summer necessities around. This would make a great beach tote bag or a market bag. This bag is freakin' adorable. If you love breakfast, I know some obsess about bacon and eggs frying in a pan, this bag is for you. A conversation starter for sure.